Meydenbauer Center is located adjacent to Interstate 405 at NE 6th Street and 112th Avenue NE in downtown Bellevue, just 9 miles east of downtown Seattle. The most convenient off-ramp from I-405 is at NE 4th Street (Exit 13A). Parking is pay-as-you enter so arrive early in anticipation of a slowdown as you enter the Meydenbauer garage. Check out the parking info and directions to help you plan your trip to the Symposium. There is also this overflow parking map in case the parking lot is full when you arrive. 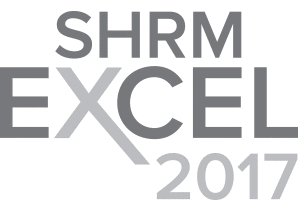 The 2019 LWHRA Symposium has been approved for 6 SHRM PDCs. Please use the SHRM Activity ID 19-3E4W3 when you enter the conference recertification credit at www.shrm.org. The 2019 LWHRA Symposium has been approved for 6 general recertification hours towards HRCI’s PHR & GPHR and 4 business/strategic and 2 general credit hours toward HRCI’s SPHR. If you are seeking HR General credit hours only, please enter the program ID #370416 when you enter the conference recertification credit at www.hrci.org. If you are seeking specified credit hours (business credits), they will not be submitting a program ID number. Each set of specified credits will need to be listed as a separate recertification activity. See below for instructions. How to Submit a Conference for Specified (Business) Re-certification Credit: For each Business Credit session attended, you will complete the following.